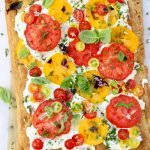 The best open faced tomato sandwich made with thin slices of olive bread, slathered with a fancy creamy whipped goat cheese spread, then topped with the most fragrant juicy heirloom tomatoes you can get your hands on. Without any mayo at all! Perfectly ripe avocado slices make for a lovely addition, but totally optional. 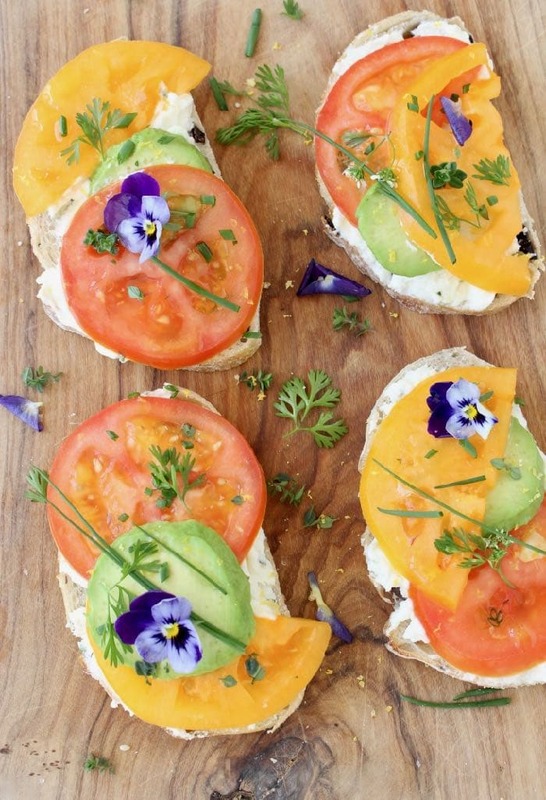 Finish your sandwiches with a fine coarse sea salt and your favorite herbs. Chives, thyme, cilantro or basil play nice here, or you could even sprinkle them with some healthy baby arugula. 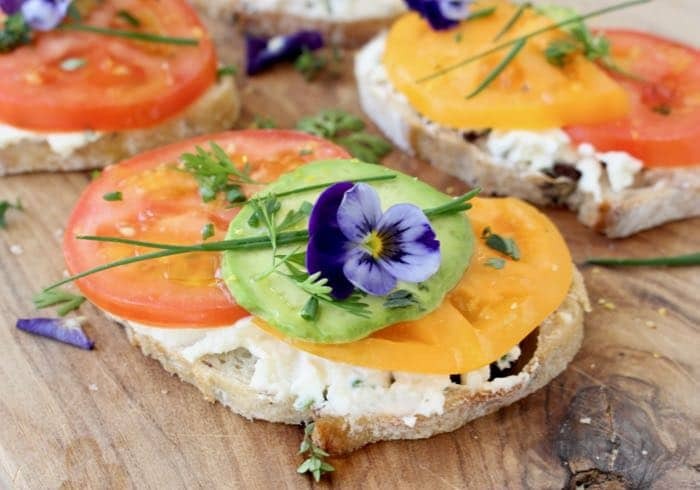 These really make the perfect appetizers for Mother’s Day, Sunday brunch or simply as a light dinner, served straight off of the wooden board you assembled them on. If you would like to pack them to take to a party then arrange them on a large platter, one next to each other and loosely cover with foil. 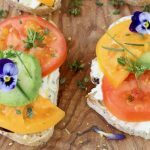 The best open faced tomato sandwich made with thin slices of olive bread slathered with a fancy creamy whipped goat cheese spread, then topped with the most fragrant juicy heirloom tomatoes and creamy avocado. Use a small food processor and whip the goat cheese together with the olive oil and the herbs until smooth and incorporated. Best to use the pulse button at first. Taste and season more with sea salt and black pepper then refrigerate until ready to use. Can be made ahead, just make sure to bring it to room temperature for about 15 minutes before serving. 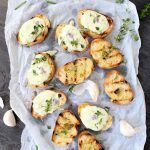 Slice the olive bread into thin slices and use a butter knife or even a spoon to slather some of the goat cheese spread on top in a relatively thin layer to your liking. 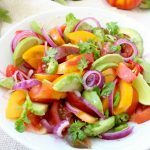 Use a serrated knife and slice the tomatoes into 8 slices each. Peel and slice the avocado into 8 slices as well. 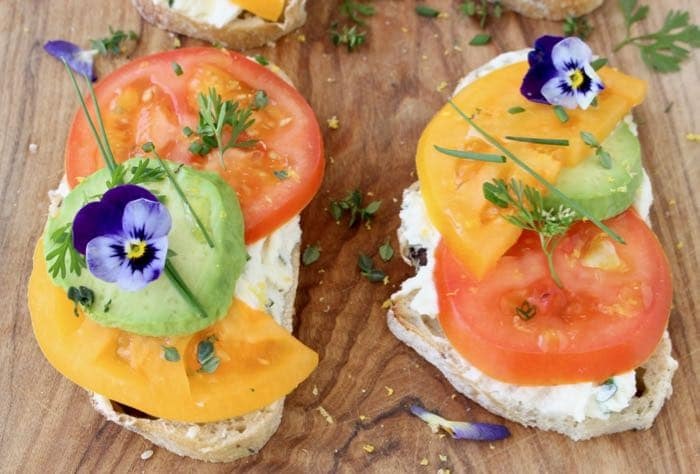 Top each slice of bread with one slice of avocado, one sliced of each of the red and yellow tomatoes. Sprinkle with the sea salt and freshly cracked black pepper and garnish with the fresh herbs.